Imagine trying to ace a final exam while your stomach rumbles because you did not eat breakfast that morning—or dinner the night before. “It’s hard to concentrate and study on an empty stomach,” says Lisa Higginbotham, manager of the UAB Benevolent Fund, an organization supporting local charities and UAB employees in need. Last March, the fund opened Blazer Kitchen, a food pantry providing nutritious fresh, frozen, and nonperishable food—from fruits and vegetables to meats, baked goods, and canned and microwavable foods—as well as hygiene and household items, to UAB students and employees in need, no matter their income. "Food insecurity can happen to anyone"
Blazer Kitchen collaborates with the Community Food Bank of Central Alabama to receive low-cost food from the United States Department of Agriculture; it also participates in Feeding America, a national network of food banks providing access to food donated through grocery stores. Blazer Kitchen staff also provide referrals to campus, community, and government resources such as SNAP (Supplemental Nutrition Assistance Program) to help shoppers receive additional aid. Recently, Blazer Kitchen has begun helping select groups of UAB Medicine patients, including mothers of infants in the Regional Neonatal Intensive Care Unit and patients in the Comprehensive Cancer Center. Through the Fighting Senior Hunger Initiative, a national grant received by the Community Food Bank of Central Alabama, Blazer Kitchen has packed bags of food for patients in need at UAB’s Geriatric Clinic. Those patients also receive help connecting with food assistance resources when they return home. 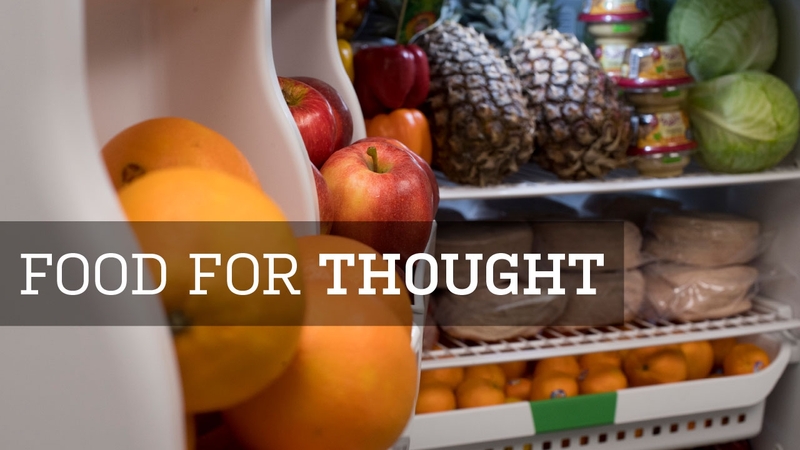 You can open the fridge doors to even more people fighting food insecurity by helping Blazer Kitchen to increase its hours of operation and offer more fresh, healthy food. Higginbotham explains that Blazer Kitchen currently picks up food every two weeks, but sometimes runs out of certain items after the first week. Additional support would translate into more supply trips—and a big impact. When the UAB community donated more than $32,000 to Blazer Kitchen last fall, it meant food for an additional 6,500 meals for people in need. • Give something and change everything for UAB students, patients, and others in need by supporting Blazer Kitchen. • Get the details on visiting or volunteering at Blazer Kitchen.